Modernization, Balancing and introduction of new Technology is hallmark of the company. 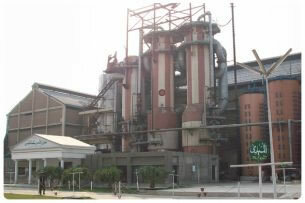 Basic plant was manufactured by Heavy Mechanical Complex (Pvt.) Ltd with combination of imported machinery & equipments. Initially the Plant was designed with cane crushing capacity of 4,000 M.Tons per day which was enhanced to 9,500 M.Tons in four phases.